Helmet is not the best representation of a HGU-55/P. Will look great next to any F-16. With over three decades of service the attire of your basic F-16 pilot has changed over the decades. 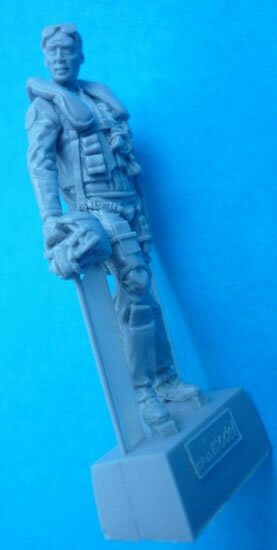 Unfortunately this lovely resin figure is simply referred to as a “U.S. F-16 Pilot”. 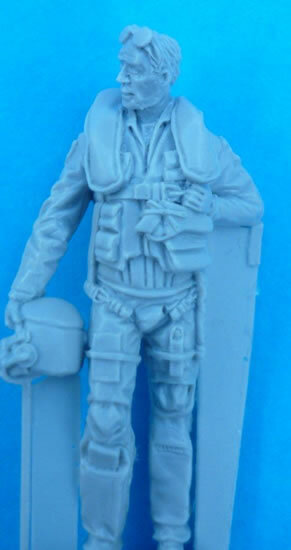 From looking at images I would say he is not a recent pilot as his combat edge jacket looks slightly different to current designs and the inflatable collar looks larger than on current vests. That said these are only minor points. I only have one major criticism and that is the helmet design. It does not look like any HGU-55/P I have ever used. I would definitely replace this with a helmet bag (if any Aircraft Life Support (ALS) fitter ever saw you carry a helmet like that you’d be shot), or if building any Block 40 onwards I’d replace it with a Joint Helmet Mounted Cueing System (JHMCS) brain bucket. Plus pose this pilot at the base of the ladder, he would not want to walk too far with those crutch straps done up!! 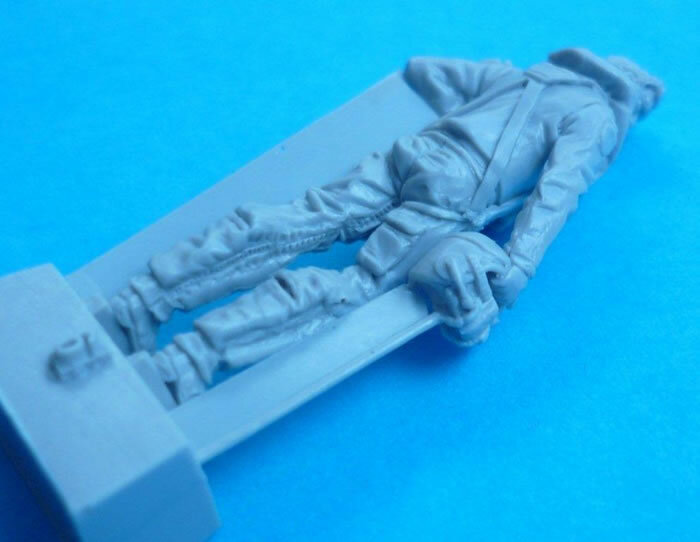 This is a very simple aftermarket resin pilot, that comes in solid packaging and the resin is nicely cast with no bubbles and almost minimal clean up. 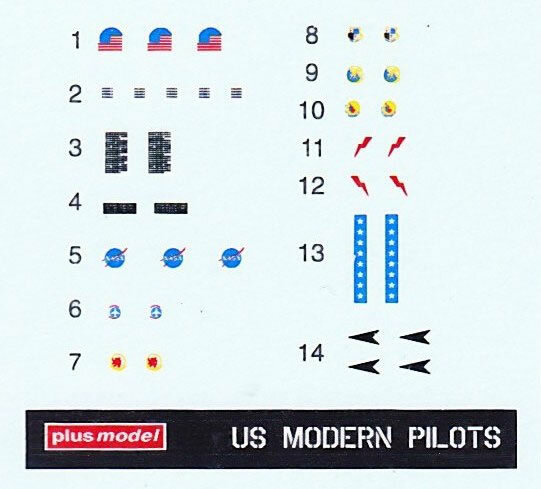 The packaging comes with a simple guide with US modern Pilot decals for patches. You only use some of these so I take it that they are will be used in other releases. That said when painted up this will look great next to your favourite Viper.